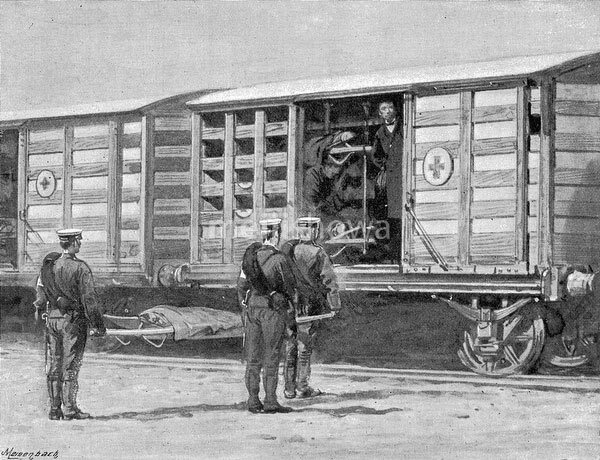 A Japanese Red Cross train leaves Tokyo for the front during the First Sino-Japanese War (1894–1895). The organization was founded in 1877 (Meiji 10). Published in the French illustrated weekly Le Monde illustré in1894 (Meiji 27).